This detailed article discusses how to resign from your job gracefully without burning any bridges. It provides guidance and tips on appropriate, proper and respectable ways to quit a job. Whenever resigning, always aim to make a positive last impression. You have to be very careful about how you resign. A few mistakes at this critical point can alter how you are perceived for years to come. Please don’t drop the ball at the end of the game. Take a long term strategic view of resignation. Your paths might cross in the future with former colleagues or supervisors. You could also require a good reference for future jobs; therefore always aim to leave in good terms. You can quickly skim all the 27 tips on the table of contents below and then click on any tip to read further details. Please enjoy reading. Thank you. Should You Accept A Counter Offer From Your Current Employer Upon Resigning? 1. Should I Quit My Job? If you are thinking of resigning, take a moment to think about the major reason or reasons why you want to quit. Assess how strongly you feel about leaving your job. Perhaps the thought of resigning has been recurring in waves or cycles, over and over again on your mind. It might have been a small thought initially which subsequently progresses to a strong feeling which compels you to take action. Perhaps you have lost passion about your job. The spark, fire and enthusiasm that you once had for your job has gone or is now just a dim or flickering light. Perhaps the work conditions have deteriorated or your prospects for career advancement have stagnated. 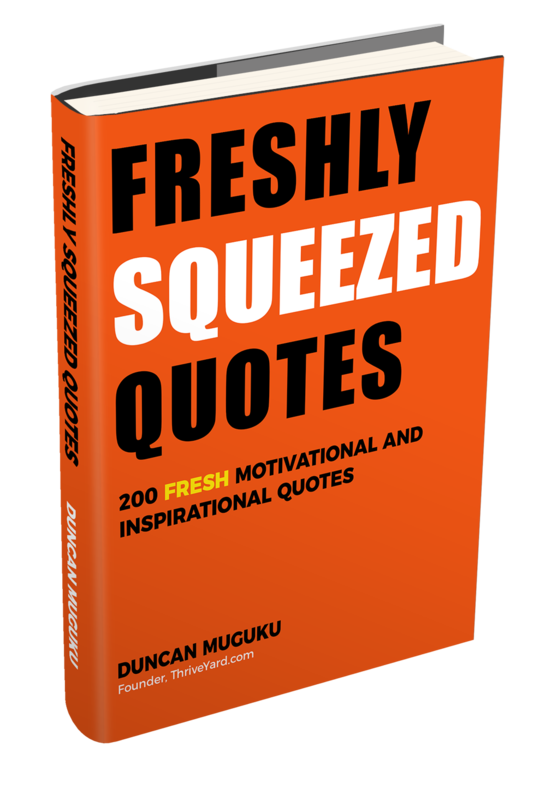 Perhaps your motivation has dwindled over time and you feel that you need a fresh start. Perhaps you are already searching online for resources on how to resign or how to write a resignation letter. When you find yourself constantly asking – Should I quit my job? – then it quite possibly could be time to do so. 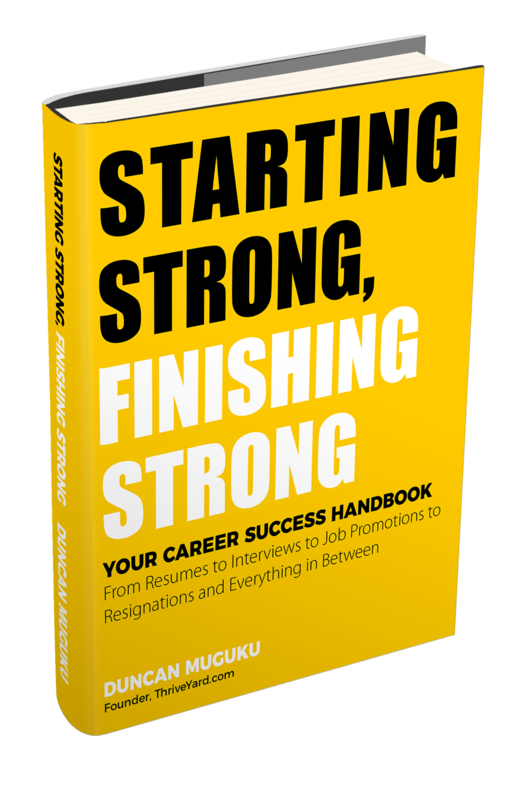 Keep reading this article for deeper insights on the proper way to resign without burning bridges to ensure long term career success. Some warning signs that indicate it could be time to quit include when you are always stressed, uninspired or demotivated. When the demands of your job significantly outpace your capacity to meet them, this can lead to stress. Stress at work can be caused by many factors such as continuous never ending urgent deadlines, excessive fear, worry or anxiety, feelings of powerlessness, loss of control and a toxic or hostile work environment. The stress can lead to body aches, pain and tension, loss of appetite, constant fatigue or exhaustion, loss of concentration, inability to sleep properly, irritability etc. A little stress at work can be manageable and could possibly push you to be more productive. However, if the stress is too much to the point of affecting your health and well-being, it could be time to make hard decisions about whether to stay or move on. At the workplace, people are usually inspired by many things such as the company’s vision, mission, your boss, the team, your work, your goals, training opportunities, customers, doing something that benefits many, making a contribution and doing good and meaningful work. If one or a combination of these things change, it could affect your levels of enthusiasm – for example, if your boss who you worked with well and had great rapport together is transferred or moves on to another company. The change in leadership could adversely affect some people especially if a new boss comes who doesn’t connect well with the team. If waking up to go to work has become a challenge, if your self-drive is gone, if you no longer feel enthusiastic about a job that you used to like then it could be time to assess your situation. Find out what has led to the loss of enthusiasm? Is it a one-time event that has happened or is it a series of things that have slowly eroded your motivation over time? Is there anything that can be done to recharge your passion? What has caused you to be demotivated? Perhaps it could be lack of promotion, being passed over again and again for promotion, lack of recognition, unethical or questionable practices in the office, a toxic or hostile work environment, your skills and abilities are not being stretched or fully utilized etc. Before you decide to resign, it is a good idea to go through a checklist of important things to do or address to ensure that you make a graceful exit. Below are 14 items to include on a resignation checklist to safeguard that you have covered all angles before leaving your current position. Why do I want to resign? How much notice do I want to give? Have I determined my last day at work? Do I have a job offer ready? Have I written a resignation letter? What are the major pending tasks that I am working on? Have I written handover notes? If I don’t have another job lined up what plans do I have for accommodating living costs? Have I removed personal documents from the computer? Have I cleaned out and packed personal items? Because in some companies you might be asked to leave immediately after you tender your resignation. Have I scheduled a resignation meeting with my supervisor? Have I prepared for an exit interview? Have I thought about how to say goodbye to colleagues? People quit jobs for various reasons. What would make one person quit is different from what would make another resign. Below are 30 reasons why people resign from their jobs. Bad boss or manager or lack of chemistry with a new boss. When you are always unhappy at work. Low salary or pay cut. Lack of or poor benefits. Hostile or toxic work environment. Lack of career advancement opportunities. Hectic or inconvenient work schedule or hours. Lack of challenge at work, boredom or the work no longer stimulates or excites you. Family or personal situations such as starting a family, caring for a loved one or illness, medical or health reasons. Being passed over for promotions. Lack of training opportunities or professional development. Poor company leadership or management. The job is not a good fit. Bait and switch – the job you are doing is different from the one you had applied for. Company facing external pressures such as government regulations, severe competitive threats, technological changes that could make the company obsolete etc. You are about to get fired. 5. How Much Notice Should You Give? The official resignation notice period differs from one company to another. The exact amount of notice to give would be stipulated on your employment contract or the company’s employee policy, manual or handbook. The typical notice period is usually two weeks. If you are in a more senior position, a one month period would be appreciated or even required to help in the smooth handover of your tasks. Depending on the complexity of your job and your own personal goodwill towards the company, your boss and colleagues, you can choose to give more notice such as one month notice instead of two weeks. Always remember to clearly state your last day of work. Your boss should be the first one to know about your decision to resign. It is inappropriate for your boss to learn or hear from others that you are planning to leave the company. Once you have made a decision to resign, the next step is to write a resignation letter then schedule a face-to-face meeting with your supervisor to break the news to them. The resignation meeting can be nerve wrecking both for yourself and your boss. It would be especially tough if you were a highly valued employee because your boss would feel sad to loose you. Below are ten tips for a successful resignation meeting. As soon as you decide to resign, immediately schedule a meeting time and date with your boss. Aim to have the meeting behind closed doors – in private. Ideally the meeting should coincide with the beginning of your notice period. In other words if you intend to give a two week notice, then your resignation meeting should be shortly before the two weeks countdown begin or on the actual day the countdown begins. Do not schedule a resignation meeting on your last day at work. When you meet with your boss to break the news that you are leaving, have a resignation letter ready. It is best to first have a formal discussion where you break the news that you are resigning then at the end of the meeting you can handover your resignation letter. Alternatively you can inform your manager that you will email your resignation letter immediately after the meeting. Emailing helps especially in circumstances where you need to simultaneously alert Human Resources and any other key staff about your departure. In this case you would “cc” them on your resignation email with your resignation letter as an attachment. Take a moment to sincerely thank your boss for the opportunity to have worked in the company. Mention a few key things that you learned and enjoyed such as opportunities for training, working with great colleagues, the good leadership skills of your boss, the mission of the company, the company culture, clients etc. During the resignation meeting, the topmost question that will be on your boss’s mind is – Why are you leaving? Your boss might ask you this question or they could wait for you to volunteer any information. In this case it is up to you to decide how much information you want to share with your manager. If you decide to share details you can mention or reveal what your new job will be and the name of the company. Alternatively, if you are leaving to pursue other interests or opportunities such as going back to school, starting a business, traveling, starting a family, relocating, career change etc you could also share or disclose what you are comfortable revealing. Inform your boss about how much notice you want to give and also ensure that you specify your last day of work. This helps to ensure that both of you are on the same page and prevents any misunderstandings. Mention that you are willing to assist in ensuring a smooth transition. Point out ways you can help such as updating your job description with all your roles, preparing handover notes, training colleagues etc. Also ask your manager for their preference in the handover process and when to begin it. Discuss with your boss the status of major tasks and projects that you are working on. Point out any pending tasks that will need to be addressed after your departure. Offer to prepare a list of major or pending tasks that you were working on as well as sharing tips, tricks or tidbits for how to efficiently perform your job. Mention where everything is located such as files, documents, passwords etc. Your boss might have some words of wisdom to share with you or some tips. Your boss might also want to share some feedback such as expressing appreciation for your work, mentioning aspects that they liked about your work performance and wishing you success as you move on. Listen and thank your boss for wishing you well. On the other hand sometimes a boss might be shocked or angry that you are leaving. If your boss is angry, yells or shouts, stay calm and be quiet. Don’t yell back, this can escalate the situation. Your boss could be reacting out of fear or they might feel betrayed that you are leaving. Calmly and respectfully restate that you are willing to help with the transition, reaffirm your last day at work and thank your boss for the opportunity to have worked in the company. You might want to ask your boss to be your reference. This is especially true if you got along well and had a cordial, friendly, respectful or pleasant working relationship. A strong and positive reference from your immediate supervisor will serve you well in your career. In most organizations, the Human Resources Department would typically provide bare bones reference such as confirming your job title, salary and employment starting and ending dates. Whereas this information is important for administrative fact checking or background checks, usually a much stronger reference than this would be needed to comfortably secure a job. On the other hand, your boss can speak directly about your work abilities, skills, attitude and achievements. The best time to ask your current boss to be your reference is after you have already received a contingent job offer. It would not be advisable, except in extreme circumstances, to ask your current supervisor to be a reference while you are still working on your job. This scenario can be challenging in a situation where you don’t get a new job offer and then you continue working on your present job. Your supervisor might get doubts about your commitment. At the end of the meeting, ask your supervisor how they would prefer to share the news to others. Some bosses might prefer to communicate the news directly to team members in a meeting or through an email. In some companies there could be a policy where only the Human Resources team can communicate staff departures to all staff. In other companies it would be ok for the departing employee to communicate the news to either team members or all staff. Some companies even have a culture of doing a farewell party for departing employees so team members would need to know your last day at work so that they can plan the sendoff party accordingly. Clearly identify the last day of your employment at the company. It is very important to include a date on your resignation letter. The date will be at the top or at the beginning of the letter. This date signifies when the countdown begins towards your effective resignation date or your last day of employment. Your notice period is the duration between the date on your resignation letter and your last day at the company. Write the name of your boss and their job title. Just below your supervisor’s name, write the company’s name and address including physical location, zip code, city and state. It is optional to include a reference line. The subject helps to quickly convey at a glance what the letter is about. The reference can simply say “RE: Resignation” then you format it in bold and underline it. Depending on your relationship with your boss or your preference, you can address your supervisor by their first or last name. For example Dear Jason or Dear Mr. Brown or Dear Ms. Taylor. On the opening paragraph of your cover letter, clearly state the job that you are resigning from. This is where you identify the purpose of the letter. Items to include in the first paragraph are a clear statement that outlines you are resigning, the notice period that you are giving, the position and company your resigning from and your last day of employment. Here you convey gratitude for the opportunity to have worked at the company. Mention your willingness to offer support in the transition process or handover activities. You can also highlight a plan or specific actions that you will do to help in the handover. If you choose to, you can provide brief information about your next move or your new job. Discussing your future plans is not required. Volunteering this information is optional. Thank the reader and end the letter. Thank your boss and wish the company well. Write the word sincerely and include your signature. Your will then add your name below your signature. Sometimes you might want or could even be required to officially inform other parties about your resignation. In this case add a “cc” line below your name at the bottom of the resignation letter. Write “cc” and then list the names and titles of other people who should receive a copy of your resignation letter such as the Human Resources Manager or Director. There are generally two types of resignation letters in terms of content. The first type of letter gets straight to the point where you simply announce your resignation and do not provide any details about your next move. The second type of resignation letter divulges information about your new opportunity such your job, the company or any other opportunity that you are pursuing. It is your personal choice regarding how much detail you want to include in your resignation letter. Always review your letter after you have written it ensure that it is free from typos and spelling mistakes. This sample resignation letter highlights the key facts in a simple and respectful way. Please accept this letter as notice of my resignation from my position as a <insert your position/job title> at <insert company name>. My last day of work will be <clearly specify your last day in the office – month, day and year>. I appreciate the opportunity to have worked at <insert company name> and I look forward to help in ensuring a smooth transition. The additional details can be as simple as shown on the second paragraph on the sample resignation letter below. Please accept this letter as notice of my resignation from my position as a <insert your position/job title> at <insert company name>. My last day of employment will be <specify your last day in the office – month, day and year>. I have received an offer to work as a <insert your new position/job title> at <insert company name>. It has been a great pleasure working with you and my colleagues. I would like to help with the transition of my duties so that work continues smoothly after my departure. Thank you again for the opportunity to work for <insert company name>. I wish you and the company the very best. The following ten tips can help you in leaving a positive impression when resigning from your job. Submit a resignation letter and give proper notice. Tell your boss first before telling your co-workers. Work hard until your last day. Help in ensuring a smooth transition. Provide helpful handover notes and tips and tricks for doing the job well. Stay positive and respectful during your notice period. Participate in an exit interview. Say goodbye to your colleagues. Stay in touch with your former workmates. When resigning, do not do or say anything that you will regret later. Failure to write a resignation letter. Making a scene or being dramatic when quitting. Tampering with documents or records. Not doing an exit interview. Slacking off or not working during your notice period. Not saying goodbye to colleagues. Telling colleagues about your resignation before you tell your boss. Unplanned resignation or resigning on impulse. Talking negatively about your boss or co-workers. Displaying anger, yelling or outbursts. Boasting or bragging about your new job. Rants on social media about the company. 11. Should I Resign In Person, By Phone Or Email? The best practice is to resign in person. Resigning by phone or email should only be used during exceptional circumstances. The courteous way to resign is to first have a face to face resignation meeting with your boss then handover your resignation letter at the meeting or email it immediately after the meeting. Situations where you could resign by email or phone include when either you or your boss work remotely. If your boss is unavailable for an extended period such as traveling on a business trip, if you are unable to go to the office for one reason or another, if you are ill, if on maternity leave etc. A resignation email has almost the same elements as an official resignation letter. To: Include your boss’s email address on this line. Cc: Send a copy of the email to the Human Resources Manager. Subject: Resignation or Notice of resignation. Salutation: Dear boss’ first name or titles such Mr., Ms. etc. and boss’ last name. Opening paragraph: State that you are resigning from your job and provide your last day at work. Middle paragraph: Point out your willingness to help in the transition. Final paragraph: Thank your boss and the company. Closing: Write the word ‘Sincerely’ followed by your name. After sending the email, print and save a copy of your resignation email for your own personal records. Quitting via a telephone call is not ideal. However, if you have to resign through a phone call then it is prudent to do it the right way. Ensure that your tone is calm and respectful and speak clearly. Your last day of work. Expression of gratitude and appreciation. Always follow-up a telephone resignation with a written resignation letter or email addressed to your boss and a copy to the Human Resources or Talent Manager. This serves as an official document or record of your decision to leave the company. Begin the letter by restating what was discussed on the call as well as highlighting the date of the call. Different organizations have differing protocols regarding how to break the news about a colleague who is departing. In some companies you can send your farewell note to all staff after you have tendered your resignation. In other companies the resignation announcement is made by your supervisor, a human resources representative or a representative of the internal communications unit. The most typical way of saying farewell to all staff in a company or your entire team or department is through a farewell email. The email is usually sent a few days prior to, a day before or even on your last day at work. It is usually a friendly message where you say goodbye, express your gratitude to colleagues and wish them well. You can also mention your desire to stay in touch by providing an email address or telephone number. You could likewise choose to tell your colleagues what you will be doing next because most will be curious about your next move. Here is an example of a brief farewell email. The subject can simply say “Farewell”. It has been a great pleasure working with you for the last four years. I have made great friendships which I will cherish for years to come. Let us keep in touch at <insert your preferred mode of contact such as email or phone>. I wish you the very best in everything that you do. Another way your resignation can be announced is during a team meeting or on your farewell party. In these situations it is customary to give a brief speech where you thank your colleagues, acknowledge and recognize the projects that you have enjoyed working on, and offer any other goodwill sentiments that you wish to convey. During your notice period you can plan a few one-on-one lunches with colleagues. This would typically be colleagues who you formed strong bonds with or regularly collaborated on many projects. The farewell lunch would offer an opportunity to say proper goodbyes to each other. Some companies, teams or departments traditionally plan a farewell team lunch for the departing colleague. This provides an opportunity to have meal together and say your goodbyes. After you have handed in your resignation to your boss, you could reach out to a few of your close colleagues to break the news privately to them. Your colleagues would appreciate receiving a heads-up from you prior to the company-wide announcement. Do not slack off during your notice period. Continue working hard and being productive till the very end. Before leaving the company endeavor to finish up as many pending tasks as possible. During your last days in the office you could go the extra mile by creating a draft training program for your replacement. The training program can be used during the first week when the new hire joins the company. The training program can highlight meetings with key people, key documents to review, key trainings to attend and tasks to immediately start working on. If your replacement is in office start training them. Introduce them to colleagues, show them around the office where everything is located, show them the location of documents on the computer, shared drive and intranet. Show them how to do key tasks and let them handle a few tasks or tests on their own as you observe and offer guidance and encouragement. Handover notes serve as a knowledge transfer mechanism and a reference guide that helps your boss, co-workers and your replacement to perform their day to day tasks with minimum interruptions. One of the best gestures that you can undertake as you resign gracefully is to prepare detailed handover notes for your successor. Handover notes are especially critical, useful and important in situations where there won’t be any overlap between the outgoing and incoming employee. Additionally handover notes offer a lifeline in a situation where no-one else in the company knows how to do your job. Good handover notes help new employees to get up to speed faster and can reduce the learning curve. Aim to make your handover notes to be as detailed as possible. It is better to provide too many details instead of offering too few or scanty details. Give a copy of your handover notes to your supervisor before you leave the company. Respond to any questions or clarifications that your manager has to help them have a good understanding of the contents of your handover notes. A summary of your roles and responsibilities. A list of all pending tasks. A list of major deadlines. Descriptions of how to perform critical tasks. Explanation of where important documents and resources are filed, stored or located. Lists of key people to collaborate with and the nature of the collaboration. Contact details of major stakeholders such as co-workers, managers, customers, partners, vendors, suppliers etc. Lists of key meetings especially recurring meetings. Screenshots showing workflows or where things are located. List of templates, manuals, policies and handbooks that are relevant to the role. Tips and tricks for doing work efficiently. List of upcoming projects and events. Links for location of files on the internal network. A draft training program or outline for your successor. As an extra step, you can include appendices, exhibits or attachments to your handover notes. The appendices will offer additional or supplementary information. Examples of attachments to include are a copy of the latest job description, organizational chart, handbooks, manuals, policies, standard operating procedures, flow charts, templates etc. 16. Should You Accept A Counter Offer From Your Current Employer Upon Resigning? Deciding whether to take or not to take a counter offer from your current employer is a personal decision. A critical item to consider is whether a counter offer will address your primary reasons for deciding to quit. Will the counter-offer improve your quality of life at work and your job satisfaction? Will a counter offer simply be a band aid for problems that could recur again? If the same issues that caused you to be dissatisfied reoccur again will you decide to resign again? Will the work environment and relationships with colleagues be better if they weren’t before? Workplace friendships and bonds can keep you in a job for a longer time than when the friendships are absent. Having good colleagues who you get along with is a positively motivating factor in the workplace. How will your boss and colleagues view and trust your level of commitment since you already tried to quit before? Will you be truly happy and productive if you stay? Look around your company to see if there is anyone else who accepted a counter offer and what was their fate? Does the company have a history of firing people within a short time of getting counter offers? Do people in your company still resign even after they stayed on after accepting a counter offer? If you have another job offer, what are the top factors that attracted you to the new opportunity and do those factors exist in your old job? Ask yourself these and other difficult questions and make your own personal assessment about whether you will stay or leave. A counter-offer package can include more than just an increase in compensation. For example you could negotiate for flexible working hours, more travel opportunities, more vacation time, more training opportunities, better health insurance package, advocate for better working conditions, a defined path towards career advancement etc. Bosses should make a point to speak frequently to staff about their career goals and also talk about the potential career advancement opportunities within the company. In addition supervisors should let staff know what is required to move from one job level to another. Some companies even have policies against offering counter offers to employees who are resigning. It is also worth noting that sometimes it could just be time to move on and time for a change. You could be working in a company where everything is great, you enjoy your job and get along well with your colleagues and you have reached a point where you want to work somewhere else. If you choose to accept a counter offer with your current employer ensure that you write to the other company to politely decline the job offer they had extended to you. On the other hand if you decide to reject the counter offer from your current employer politely and respectfully thank them for the offer and inform them that you have decided to move on. The exit interview would typically be held within your resignation period and usually towards your final days in the office or even on your last day at work. Exit interview questions typically seek to find out your level of satisfaction or dissatisfaction and ways or areas for improvement for a company. When a company conducts exit interviews consistently over time it can provide valuable insights, gaps, data and trends that can help in making a company better. Exit interviews are normally conducted by a member of the human resources team. Provide respectful, factual and constructive feedback that can help to improve the company. Be calm and objective. Project positivity and gratitude for the opportunity of having worked at the company. Avoid using the exit interview as an opportunity to negatively attack your supervisor or coworkers. Exit interviews can also serve as an opportunity for returning company property such as keys, entry or access cards return, credit cards, phones, laptop etc. A company’s exit checklist can help in ensuring critical processes are completed such as ensuring that after you leave the company your email and computer access is disconnected, passwords deactivated and office access or entry codes are disabled. What did you like the most about your job at this company? What did you least like about your job at this company? What recommendations do you have for improving your job? Describe your working relationship with your supervisor. Describe your working relationship with your co-workers. What are your proudest achievements in your job? What suggestions do you have for improving your department or the company? What could we have done better to keep you from leaving? Would you recommend or refer others to work at our company? Perhaps a boss might want an employee to leave a company for one reason or another but they do not have sufficient grounds to let the staff member go. All of a sudden your boss starts requiring or demanding everything to be in writing yet in the past they never required this level of detail. Your boss now wants everything to be documented. You used to be so busy, perhaps even drowning in work regularly then you start realizing that your workflow is dwindling and you are being underutilized. You rarely or no longer get invited to meetings. You used to be a regular attendee and even an enthusiastic participant but now you hardly know when the meetings are being held. Your email volume has also slowed down to a trickle. You used to have free reign, worked independently or your boss checked in on you once in a while. Now your boss is constantly hovering over your shoulder and circling you like a hawk. You used to do and produce stellar work and there were hardly any complaints. Now you are constantly questioned over almost everything that you do. Some companies require employees to sign non-disclosure agreements (NDA) or confidentiality agreements when they are hired. If you have signed a non-disclosure agreement, take time to re-acquaint yourself with its contents and the term of the agreement. These agreements could continue being in force for a certain period of time even after an employee leaves the company. Non-disclosure agreements protect a company’s trade secrets, internal methods and processes, formulas, plans and other sensitive information that is not public knowledge. The agreements require you to keep confidential information you acquired through the course of your employment such as names and contact details of customers, financial plans and forecasts, marketing plans, growth and expansion strategies, new product launches, operational strategies etc. When you resign, endeavor to honor your former company’s confidentiality agreement based on its respective terms and conditions. Normally you wouldn’t quit a job before you have secured another or without a backup plan. However, there could be extreme circumstances that could cause you to break this old rule and consider resigning. It is a very scary feeling not knowing where your next income will come from. Additionally it is equally stressful just thinking about quitting without a backup plan. The work environment is hostile, colleagues do not cooperate with each other, they are unkind and back bite and slander one another. There is constant tension and negativity in the workplace. Your boss is abusive, insulting and constantly undermines you. Boss is disrespectful and does not value your input and ideas. Boss is constantly on edge and blows up without any warning. Outbursts and yelling from your boss have become a normal occurrence. You are constantly walking on eggshells not knowing when the next flare up will occur. You are constantly stressed, overworked, burnt out, sleep deprived and hounded by one unrealistic deadline after another. You are always working at work and at home. You don’t have a personal life anymore and there is no reprieve or relief in sight. The job that you once loved is now destroying your health and happiness. You handed in your resignation amicably, said your goodbyes to your former boss and colleagues and sailed off to your new job. The only problem is that your ship faced strong headwinds and raging waves that threatened to capsize you. You then decide to turnaround your ship and sail back to a familiar destination where you know the lay of the land, can comfortably navigate and the waters are calm. The risk that your new job might not work out strengthens the case for why you should always resign gracefully. When you leave a company in good terms and things do not work out in the new position, you could try to negotiate to get back your old job or to get another position with your former employer. On the other hand, if someone has burned bridges on their way out, it becomes difficult to negotiate a re-hire opportunity. Going back to your old job might not be the most ideal solution but it is better than toiling away in a new role that you are not passionate about. Sometimes you could find yourself in the unfortunate position of having to resign from a job that you just started. Things or circumstances might not have unfolded as you had envisioned and resigning becomes one of the options to consider. Many people are likely to be disappointed and even angry when you quit from a new job because of the investment in time spent on advertising the position, short listing, interviewing, hiring and onboarding a new staff. Your boss and co-workers could be disappointed by your decision to leave. Even if you quit after a short while ensure that you quit gracefully by giving notice, telling your boss first, providing a resignation letter, apologizing to your boss and team and leaving on good terms. If you received poor or inadequate training, this could set you up for failure. It could cause you to have a steep hurdle to jump over before you start producing good results. You might find out within a short time of starting a new job that you lack the actual skills required to do the work properly. Not having the proper skills would lead to performance problems over time. 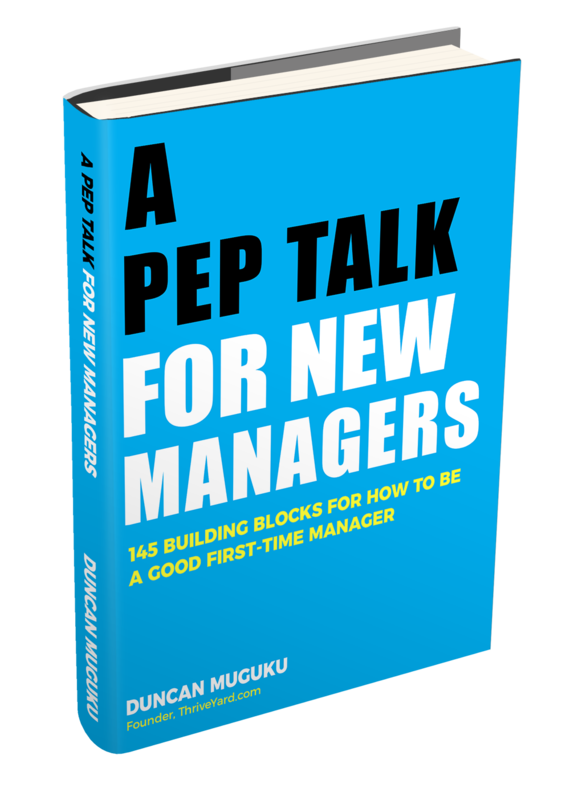 If you don’t get along with your new boss from the very beginning, you could choose to soldier on and hope that the relationship improves over time or count your losses and jump ship. If from the very beginning of your new job you experience a work environment that is unhealthy, disrespectful or hostile, it could be a sign of bad things down the road. You might find yourself in a situation where the actual work that you are required to do differs from what you had applied for. Another unfortunate occurrence is when a company runs into financial difficulties within a short time after you have been hired. Also if things like layoffs and redundancies are being proposed, you might want to make your exit. During mergers or acquisitions companies might consolidate or eliminate certain roles to create efficiencies and reduce redundancies. If your unit or your role is slated for a reduction and there are no opportunities to be reassigned within the company then it could be time to look elsewhere. When the job is too difficult and you are unable to do it despite your best efforts or determination, it could signal red flags and prompt an early resignation. A decision to resign from a job you just started could be triggered if there are widespread unethical practices in the company or you are asked to do questionable activities. To avoid any stigma that could be associated with being fired, sometimes when you are on the chopping block to being fired, you could request to resign instead – where you choose to voluntarily leave rather than being shown the door. How can you tell if someone will resign? If you are keen and paying attention, there could be some telltale signs. In addition there are times when it is hard to tell whether someone is planning to resign. A previously motivated and highly enthusiastic employee who cheerfully contributed in brainstorming sessions and staff meetings is suddenly quiet, uninterested and withdrawn. The passion and fire that they once had is gone. This could be a red flag that something is up. A colleague is constantly complaining about many things including the boss, colleagues, work, leadership, customers etc. The immense dissatisfaction could point towards them heading for the exit door. You are receiving constant notifications about updates on your colleague’s professional online profile. It could mean that they are getting their house in order prior to departure. Suddenly your colleague comes to work looking suave, sharp and pristine on specific days and not on others. The impeccable dressing could be a tip-off that they are coming from or going to an interview. They simply say so and mention or confide that they are looking for a new job. This could be as a result of taking time off to attend interviews or subsequent interviews. Especially someone who used to be very productive, engaged and contributed a lot during meetings but now is unusually quiet and perhaps even disinterested. Work quality is deteriorating and it seems like they are not concerned about it. You left for maternity leave with every intention of returning back to work once your leave was over. However, you have now changed your mind and decided not to go back to work. Inform your boss as soon as you have made up your mind to resign. Ensure that you give your notice in good time ahead of the date you were scheduled to return to work. It is also a good idea to double check the company’s policies specifically about resigning during maternity leave. Additionally inform and consult with the Human Resources team as well for guidance on intricacies such as short term disability. Prepare an official resignation email addressed to your supervisor with a copy to human resources. Clearly state your intention to resign, specify your last day of employment, apologize for any inconvenience caused, express your willingness to help in the transition of your duties and thank your boss and the company. As a courtesy you can also provide a reason why you decided to resign such as you want to spend time taking care of your newborn baby. You can also choose to call your boss first and discuss your decision to resign. After the telephone call, follow-up with an email with a copy to human resources summarizing your notice of resignation. As an additional tip, you could also consider negotiating with your boss about the possibility of working part time instead of resigning altogether. You have submitted your resignation letter and now you are having second thoughts or perhaps the job offer that you had has fallen through or you are simply nervous about moving on. After giving it a lot of thought and deciding that staying at your current job is the most viable option then it’s time to act swiftly. The sooner you inform your boss the better. Has the recruiting process started for your replacement? How further along are they in the hiring process? For example are they at the initial stage where they are writing up the job description or posting the job listing or are they already interviewing potential candidates? There is a big risk associated with changing your mind after resigning. The obvious risk is that the company might not welcome you back. Begin by writing a letter withdrawing or canceling your resignation. Address the letter to your boss or the Human Resources Manager or both. Specify that you would like to withdraw your notice if resignation which you had submitted. Explain your reason for change of heart. Apologize the inconvenience closed and wrap up your letter by genuinely stating that you are committed to continue working at the company. After submitting your retraction letter endeavor to meet with your boss as well and discuss your desire to stay on. If your change of mind is accepted then good luck however if your request is rejected then you would continue working till your last day then move on. Deciding to resign is a serious decision in one’s career. Ensure that you think very carefully before resigning. If you decide to resign, always give your boss adequate notice. The resignation notice period is meant to ensure as smooth a transition as possible between the departing employee and the employer where you wind down your duties amicably and handover appropriately. Always leave each job on the best possible terms. Aim to leave a lasting positive last impression. 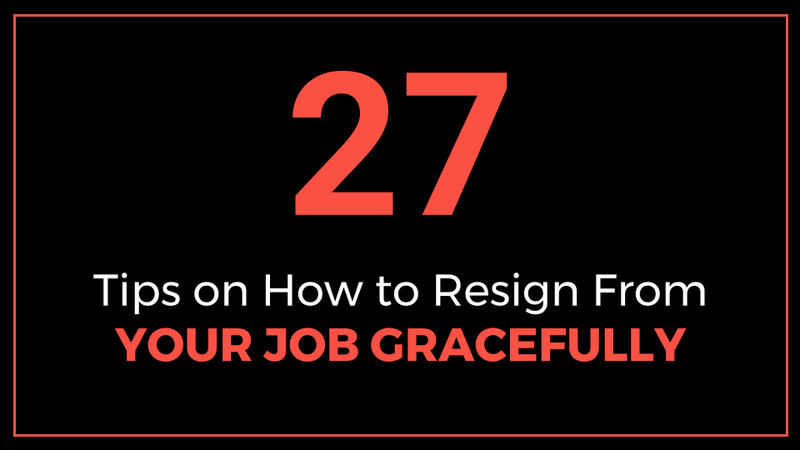 This comprehensive article discusses how to resign from your job gracefully. It provides guidance on proper ways to quit a job. Topics include how to write a resignation letter, sample resignation letters, why people quit jobs, how much notice should you give, exit interviews, resignation mistakes, handover notes etc.